Experience the Benefits of having BPM provide the required Bookkeeping Data Entry to support your Owner Operator Truckers Bookkeeping Service delivery, and the opportunity to eliminate the related document management, time and cost, without any loss in data quality, productivity and control. We are positioned to relieve accountants and bookkeepers that provide bookkeeping service to truckers, of the labour intensive owner operator truckers bookkeeping data capture tasks required to convert paper source documents from truckers to data and bookkeeping processed ready files. We bring over 25 years of hands-on truckers bookkeeping and tax reporting compliance experience, providing bookkeeping and Tax compliance management services to owner-operator truckers. We will function as your undisclosed outsource Bookkeeping Process Management support and make it easy for you to convert your truckers bookkeeping clients from sending you paper to receiving data and tax filing ready reports. 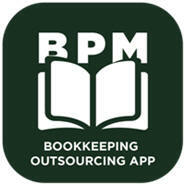 With BPM you no longer have to hire, train and manage a truckers bookkeeping staff, you eliminate the potential for hiring and training your competitor. This will be a fast learner looking for a self-employment opportunity that, when ready, will take some or all of your clients to work in their own truckers bookkeeping small business.